Aerial yoga, tantra yoga, silent disco yoga, yoga by the beach – Hongkongers are spoilt for choice when it comes to wacky variations on yoga. If you’re a dog owner, there might just be one more item to add onto your yoga bucket list: dog yoga. 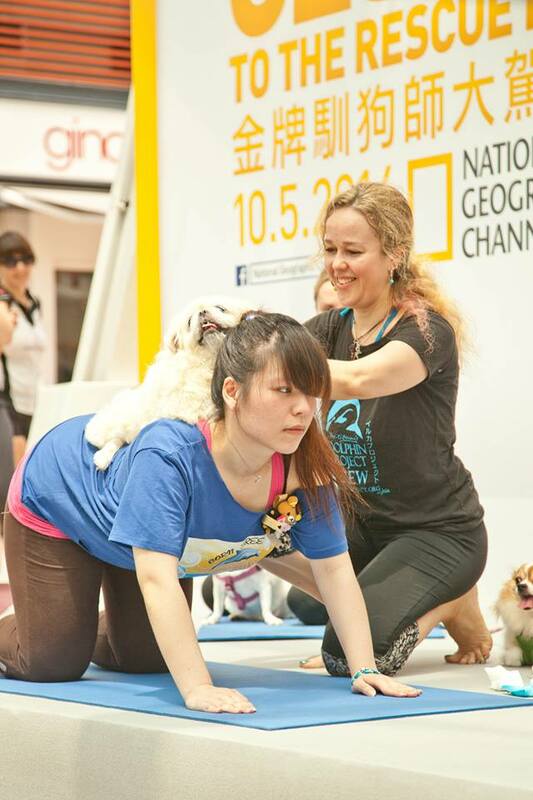 HKFP speaks to Suzette Ackermann, a local dog yoga instructor, who tells us about her upcoming participation in the “World’s Largest Dog Yoga” class Guinness World Records bid, her experience teaching doga in Hong Kong, and most importantly – what “doga” is really about. What is dog yoga, or doga? Dog yoga is like a mother-baby exercise – but you bring your dog. We do yoga with a dog. [The focus is less on the exercise and more on the] bonding of human and animal. When you have a group of people, it’s kind of fun, because it kind of turns out to be a play date as well, with the pet. We do some yoga, and we do the standing posture, so we’ll hold the dog. Dog Yoga in action with Suzette Ackermann. Photo: Jacky Lee. Where and when can I do doga in Hong Kong? We only do it once a month now, and it’s held at Opendoor Cafe + Courtyard in Sai Ying Pun. Usually either Saturdays or Sundays, depending on the cafe, because we combine it with the doggy playdate. They do doggy playdates once a month, and I do doga on the same day, so that people can hang around a little longer. I work together with them and we schedule together. People will usually know one month or at least three weeks in advance. Who am I likely to see at a typical doga class? Usually just dog owners, pet lovers; most of the pets that join are usually adopted. [A typical class will have] around 12-15 people, sometimes a bit more. The classes are in English, but there’s actually more Chinese [dog owners who attend the classes]. Are you guys the only ones doing doga classes in Hong Kong? How did you guys get started? I don’t know if there’s anyone else – we just go along doing our own thing. I started in my studio in Sheung Wan, in 2010. I started helping a friend of mine out at a pet shop, and we did promoting with their clients – we didn’t think it would come this far, it was just for fun. And then it really snowballed and took off, but it wasn’t planned. We got a lot of interviews and social media attention. And after that, I decided to do a proper class plan and something more formal, more structured. Dog Yoga in Hong Kong. Photo: Jacky Lee. 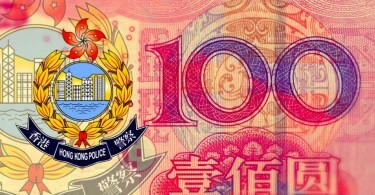 I also donate 20 percent of the fees to Lifelong Animal Protection Charity (LAP), [which is] an animal shelter in Hong Kong. They do cat and dog adoption. What do you do when you’re not doga-ing? I’m a yoga teacher, and a dance instructor. We read that there are two parts to your classes – in the first half, the pet owners do yoga with their dogs, and in the second, the dogs are encouraged to stretch their limbs with the help of the owners. Does it still follow this structure? We follow a similar structure, and I also change it depending on the mood of the dogs in the class and how they’re behaving – you can’t follow a strict routine. Sometimes you’ve got to change it a bit. Basically the same seated-standing seated-cardinal work; seated is usually more for the dog, where we stretch them out a bit, give them a massage. We [also] do basic hip opener gestures, where we hold the dog. Those who have tried the doga classes and come back for more – do you know if it’s mostly for the workout, or something else? A lot of them said they enjoy it because there’s more bonding with the pet, and meeting other people, dog meeting other dogs. And it’s quite a workout for them as well. The standing posture is quite tiring – you’ve just got to hold the dog in one arm and then change to the other arm. Depending on the size of the dog – the bigger the dog the harder you’re going to work. We do everything – standing postures, core work, cardio work – it’s pretty good fun. Suzette assisting a doga participant. Photo: Jacky Lee. Will it be a problem if the dogs are too big? Is there an ideal dog size for doga? I’ve had people with really big dogs in – they do the same, but they just don’t pick up the dog, although some people have tried, which is quite funny. With a little dog, you’ll hold them more. We do a lot of doggy massage, so that still works. I would say [the ideal size] would be a Pekinese size. Snowball, my Pekinese, is the leader. Yoga tends to make humans more zen – do they have the same effect on dogs? I adopted a long-haired Chihuahua from LAP and he was abused before, he was really aggressive, he wanted to bite anyone, bark at every dog. You couldn’t take him anywhere and he was a nightmare. I started taking him to classes with me and he’s totally fine. I think it’s transferring human energy to the dog – if you’re calm, the dog is calm. [At the classes] you start with breathing, and a five-minute meditation, kind of to calm the dog and to get them more into it. Doga on the beach. 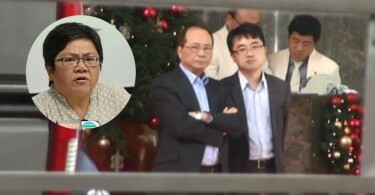 Photo: HKFP. We heard you’re going for a Guinness World Record of “Largest Dog Yoga Class” – can you tell us what that’s about? Yes, we will teach over 300 dogs doga. The organiser is doing it for charity, and I think they’re trying to raise money for guide dogs for the blind. They contacted me, and I said yeah! Let’s go for it! So the idea is there will be loads of people at one place and everyone’s going to do dog yoga together? Yes. It’ll be at the Stanley Plaza Amphitheatre, from 3pm to 5pm on January 17, 2016. Find out more about the event and how you can register here.